select *, DATE_FORMAT(birthday, "%b %e, %Y") as _birthday, DATE_FORMAT(died, "%b %e, %Y") as _died, MONTH(birthday) as month_birth, DAY(birthday) as day_birth, DATE_FORMAT(birthday, "%b %e") as _birth_day_month from agatti_people where agatti_people.u_name = "patricia-neal"
Shares birthday with George Burns, Bretaigne Windust, Roscoe Ates see more.. 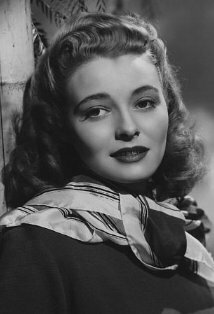 Legendary actress, Patricia Neal, was born Patricia Louise Neal on Jan 20, 1926 in Packard, KY. Neal appeared in over 65 film and TV roles. Her best known films include Breakfast at Tiffany's, The Day the Earth Stood Still, Hud, A Face in the Crowd, The Fountainhead, The Subject Was Roses and In Harm's Way. Neal died at the age of 84 on Aug 8, 2010 in Edgartown, MA and was laid to rest in Abbey of Regina Laudis Cemetery in Bethlehem, Litchfield County, CT.
Patricia Neal was born Patsy Louise Neal on January 20th, 1926 in Packard, Kentucky. She grew up in a fairly blue-collared household, where her father, William, worked as a transportation manager for companies such as South Coal and Coke while her mother, Eura, stayed at home to take care her three children. When Neal was three years old the family packed it up and moved to Knoxville, Tennessee where William Neal had found new employment. At the age of 10-years old Neal began taking an interest in acting while attending church. During a Christmas program, Neal had watched as her teacher performed a monologue and was thoroughly interested. She then reportedly wrote a letter to asking for drama classes. Although Santa probably never read the young child's letter, her parents did. Thanks to connections to a newly opened drama school in New York City, her family allowed her study for a short time. She maintained a traditional education and attended Knoxville High School. She continued to study acting in her spare time, eventually winning the Tennessee State Award for dramatic reading and performed with the Tennessee Valley Players. Convinced that acting was the career she wanted to pursue, after graduating Neal enrolled in Northwestern University to study drama. After just a year of studying, however, Neal dropped to pursue a career fulltime. With less than 400 dollars in her pocket (a little less than 4,000 in today's currency), Neal headed east to the Big Apple. Upon her arrival in New York, Neal took residence with a couple friends in Manhattan's west side. After sometime auditioning, she eventually got her first job as the understudy for the leading roles for the Broadway production of The Voice of Turtles. She followed the tour to Chicago, where Neal replaced the lead Actress, Vivian Vance, for two weeks. She was soon noticed by playwright, Lillian Hellman, who wanted to cast Neal as the lead in her next production, Another Part of the Forrest. The 1946 play was a sequel to Hellman's previous hit, Little Foxes, and followed the Hubbard family's rise to social prominence. In her official Broadway debut, Neal was cast as the ruthless southern aristocrat and sexually vivacious, Regina Hubbard. The Production was hit and so was Neal, with critics unanimously praising her performance. For her efforts, Neal was received The Theatre World Award and won the Tony Award for Best Performance by a Featured Actress in a Play. After the success of Another Part of the Forrest, came the inevitable Hollywood offers. Unable to resist the silver screen, Neal signed a contract with Warner Brothers and went west to Hollywood. When Neal arrived to Hollywood in 1949, she was immediately put to work on her debut film John Loves Mary opposite Ronald Reagan. She was then assigned to King Vidor's big screen adaption of Ayn Rand's controversial novel The Fountainhead opposite Gary Cooper. During the film's production, Neal fell in love with the very married Cooper and the two began a passionate affair. When Neal discovered she was pregnant, the pair decided that an abortion was the only option, a decision Neal regretted. This, coupled with her own nervous breakdown due to the dishonorable nature of their relationship, would hasten the couple's breakup in the early 1950s. Despite a hectic love-life, Neal remained a committed professional and acted in the films she was assigned. After The Fountainhead, she starred in a series of forgettable films such as Bright Leaf, and Three Secrets. In 1952 she starred opposite John Garfield in his penultimate film The Breaking Point. The film was a moderate financial and critical success. Later that year she would co-star in the Robert Wise sci-fi masterpiece The Day the Earth Stood Still. The film centers on an alien who comes to earth with important and powerful message. The picture was massive hit with both audience and critics, becoming one the of the best reviewed films of 1951. The rest of Neal's films, however, could not bolster such a claim. It was at this time that Neal suffered a nervous breakdown due to her affair with Cooper. Following the death of their relationship, Neal decided to return to New York and work on the stage. Upon her return to New York, Neal auditioned for the Lillian Hellman play The Childrens' Hour and was offered either of the starring roles. 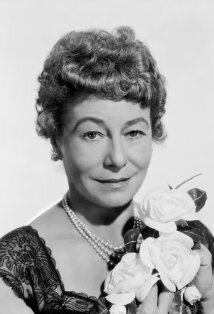 Neal would choose the juicier role of Martha, helping lead the play into its successful run. During this time Neal also became part of the Actors Studio, networking and making friends with people like Elia Kazan and Arthur Penn, who she would work later on in her career. While on New York Neal would be introduced to her first husband, famed children's author Roald Dahl, at a party that Hellman was hosting. The couple would marry two years later in 1953. After their marriage, the couple purchased a house 30 miles outside of London, where they would live during the Broadway off-season. Neal continued to appear on both the stage and in films, acting in both Europe and America. 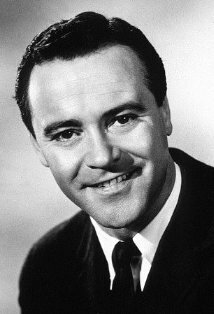 In the 1950s while away from the stage, Neal starred in several fairly forgettable European films such as Something for The Birds, Immediate Disaster and La tua donna. 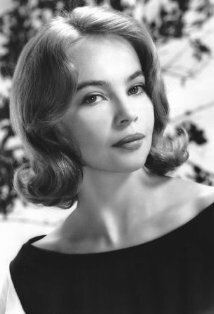 In 1956 when Barbara Del Geddes was forced to leave Elia Kazan's production of the Tennessee Williams play Cat on a Hot Tin Roof, he cast Neal to replace her. The next year Kazan would cast Neal in his political drama A Face in the Crowd. 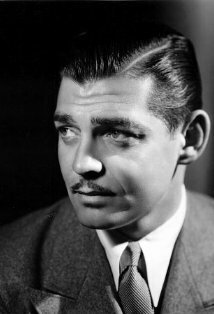 The films' story centers around a charismatic, immoral drifter Larry "Lonesome" Rhodes, as he is discovered a local radio producer, played by Neal, and follows his subsequent rise to fame, influence, and power on the national media. 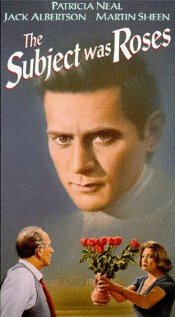 Although the film was released to mixed reviews at the time, film historians and critics have since praised the film as a masterpiece statement about the cult of personality and political power. The next year Neal would make her West End debut in another Tennessee Williams play, Suddenly Last Summer. And in 1959 she returned to Broadway to appear in the Arthur Penn produced The Miracle Worker as Kate Keller, the mother of Helen. She returned to silver screen in 1961 with a supporting in the filmic adaption of Truman Capote's Breakfast at Tiffany's. In the film she played 2E, a wealthy Manhattan socialite who keeps the paid company of struggling writer, George Peppard. She followed that up with her most acclaimed performance of her career, once again working with director Elia Kazan for the 1963 film Hud. 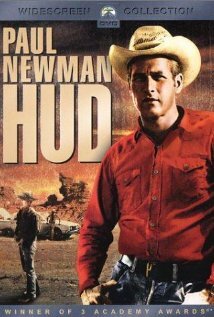 In the film she plays the tough but personable housekeeper, Alma, who fights of the unwanted advances from the indiscipline and unscrupulous titular character, played by Paul Newman. The film was huge hit both financially and critically, garnering seven Academy Awards and winning four including a Best Actress Award for Neal. For her performance she would also receive The New York Film Critics Awards, The National Board of Review and a BAFTA. 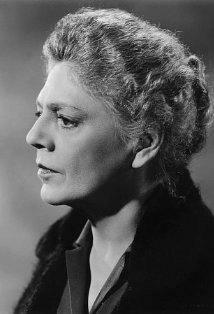 Two years she would win another BAFTA award for her role in the Otto Preminger wartime drama, In Harm's Way. At this point Neal seemed to be at the height of her career, however, fate would soon take a cruel turn for the actress. At this point in her life, Neal was used to her fair share of personal tragedy. In the 1960s, Neal and Dahl's five month-old son was struck by a taxi while in his baby carriage and suffer permanent, severe brain damage. And in, 1962, Neal's oldest daughter, Olivia, died of encephalitis at the age of seven. Then in 1965 Neal suffered three strokes while pregnant. She was then forced to undergo brain surgery to remove the clots that caused the stroked and fell in to a coma for 21 days. When she finally woke up, Neal was paralyzed on the right side of her body, losing her ability to walk and much of her speech. Her husband then took it upon himself to rehabilitate his wife, understanding her needs being a stroke victim himself. For then months the two worked tirelessly to re-teach Neal how to walk and talk. When all was done, the only clue left of her stroke was the loss of sight in her right eye. After recovering, Neal returned to acting. In 1968 she received an Academy Award nomination for The Subject was Roses. Despite her strong comeback, her subsequent work would pale in comparison to her previous career and much of what she appeared in would be fairly forgettable. 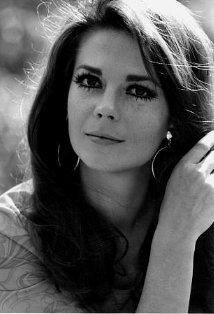 In 1971 she starred in the TV movie The Homecoming: A Christmas Story, which garnered the actress an Emmy nomination. She continued to split her time between the silver screen and television, making guest appearances on television series such as Kung Fu, Little House on the Prairie and Moving on. In 1981 CBS produced a made for TV film chronicling Neal's life called Gypsy House: The Patricia Neal Story. The next year she starred opposite Fred Astaire, Melvyn Douglas and Douglas Fairbanks JR. in the horror film Ghost Story. By 1983 her marriage to Dahl had dissolved and she returned to New York. During this time, she penned an autobiography called As I Am that was released in 1988. By the 1990s Neal's appearances on the big and small screen became less frequent. Her final performance came in 2009 with the made for TV film, Fly By. Patricia Neal died on August 8th, 2010. She was 84 years old. Neal's autobiography As I am was originally published in 1988. Patricia Neal was nominated for two Academy Awards, winning one for Best Actress for Hud (as Alma) in 1963. She was honored with one star on the Hollywood Walk of Fame in the category of Motion Pictures. In addition, Neal was inducted into the Theater Hall of Fame . 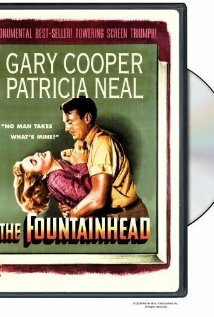 TCM is celebrating s birthday with the films featured below: Fountainhead, The (1949) An idealistic architect battles corrupt business interests and his love for a married woman. Cast: Gary Cooper, , Raymond Massey. Dir: King Vidor. Joan Ross: I'm with those people over there. They're much duller than you are. But they got far better manners so I have to lie like the dickens. Especially that one guy! He's the captain. He thinks he is a mate of mine. You know the kind. So I have to be nice to him. Darling, can you wait two minutes? Joan Ross: Well... I hardly can. I'm going to, darling. Hud Bannon: You're half native already. I've never seen you in a pair of shoes since you have work here. Alma Brown: I wore'em once. I think to get married in. White satin pumps. I don't have'em anymore or the man either. Duke E. Gifford: How's the picture? Lt. Larry: Oh, all right I guess, sir... the things those Hollywood guys can do with a submarine. Returned to work 6 months after giving birth to her daughter Olivia to begin performing in "A Roomful of Roses" on Broadway. Unhappy with her roles in Hollywood, she was suspended by Warner Bros. for refusing to co-star with Randolph Scott in a western. That and her torrid but futile affair with married actor Gary Cooper, which led to an abortion and nervous collapse, quickened her decision to leave Hollywood and return to New York City where she refocused on theater. Following her two-year illness and rehabilitation, the Oscar-winning Patricia made her first public appearance in March of 1967, in which she spoke to 2,000 people in New York City at a benefit for the New York Association for Brain Injured Children. She also showed up at the 1967 Academy Awards ceremony to present the award for "Best Foreign Film" and received a standing ovation.